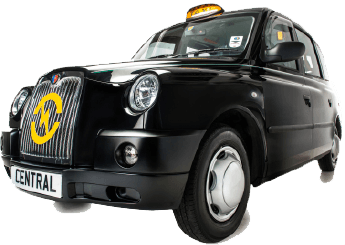 At Central Taxis we recognise the importance to both corporate and public sector organisations when choosing a service partner of a high quality, reliable service delivered in a cost effective way. Our account management team meet regularly with customers to help forge collaborative working relationships and maintain high levels of service. We tailor each contract to the customers’ individual needs. This includes the facility to add additional instructions to bookings and communicating specific procedures to our staff and drivers to ensure that everyone is aware of the client’s needs. Central Taxis will issue account holders with two codes – booking code and account code. When ordering a taxi, our telephonist will ask you to quote the booking code and then provide the name of the account. If you have any financial queries, please call our accounts team on 0131 221 2230 and quote your account number. You will receive an invoice on a monthly basis which will include all the journeys that took place that month. There will be an administration charges to facilitate the account, working on a sliding scale depending on spend of the account. This will be added to the total, VAT is payable only to this charge. Please see below or click here to see our charges. Central Taxis operate under the City of Edinburgh Council Taxi fare table. Waiting time is charged at 36p per minute, any waiting time incurred in the journey will be shown on your invoice. Any cancellations after the taxi has been despatched will be chargeable, at £2.20 plus any waiting time incurred. Payment must be made 14 days after the billing date (for Direct Debit payment we will debit the authorised account 14 days after the billing date). Use one of the forms below and we will get in contact for payment details.